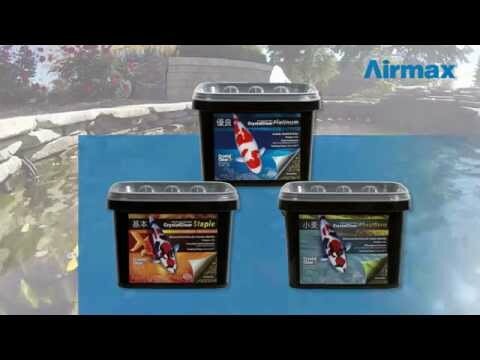 CrystalClear® Platinum Fish Food - Airmax® Inc.
CrystalClear® Platinum fish food contains a special blend of the highest quality proteins, vitamins and minerals to promote rapid growth. CrystalClear® Platinum also contains Spirulina and Stabilized Vitamin C to bring out vibrant colors in koi. This floating fish food is designed for premium nutrition for growing show-quality koi. It contains a minimum of 40% protein and measures 3.0 mm for Standard Pellets and 5.0 mm for Large Pellets.